(1856 - 1925) - U.S.A.
John Singer Sargent brings to mind elegant portraits of wealthy women in the late 1900’s. Sargent was the most successful portrait painter of his era, as well as a gifted landscape painter and watercolorist. He was born in Florence, Italy to American parents. Although he spent most of his life in Europe, he considered himself to be an American. Sargent studied under a teacher who taught him to skip the step of making detailed sketches and paint directly on the canvas. Sargent’s work gained popularity in later years, but many didn’t give him credit as an artist during his own lifetime. Our painting of the week is Carnation, Lily, Lily, Rose. John Singer Sargent's early enthusiasm was for landscapes, not portraiture, but portrait painting was the best way of promoting an art career, getting exhibited in the Paris Salon, and gaining commissions to earn a livelihood. Sargent's first major portrait was of his friend Fanny Watts in 1877. Sargent’s portraits generally received the most admiration of all his works. However, in 1884, his reputation as a painter lost ground when he exhibited Madame X. Critics disliked it because it was different from the standards of that day. Now, Madame X is one of Sargent’s most celebrated paintings. Sargent's best portraits reveal the individuality and personality of the sitters. His painting, The Daughters of Edward Darley Boit, has a haunting interior and uses an unusual composition and lighting effect. 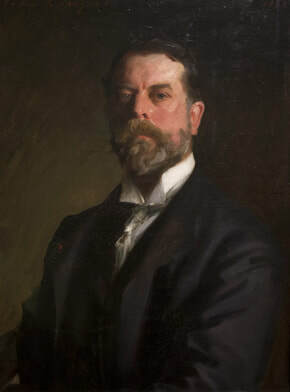 Sargent became a popular portrait painter in America. Many members of American high society sat for his portraits. He also painted two Presidents – Theodore Roosevelt and Woodrow Wilson. In 1907, Sargent painted his modest and serious self-portrait for the celebrated self-portrait collection of the Uffizi Gallery in Florence, Italy. John Singer Sargent’s painting, Carnation, Lily, Lily, Rose was a turning point in his career. The large painting, which Sargent painted on site, shows two young girls lighting lanterns in an English garden. The English people recognized the painting’s greatness and soon wanted him to paint their own likenesses. Sargent had learned from both Monet and Degas, and Carnation, Lily, Lily, Rose shows how he was affected by Impressionism. Like Monet, Sargent was fascinated with light and became highly skilled at portraying it. However, unlike Monet, Sargent’s paintings remained more realistic with crisp forms. Sargent painted one of his most Impressionist portraits of Monet at work painting outdoors. Sargent found that he was intensely drawn to travel. Travel scenes would form a major element of his work. He visited Spain, where he admired Spanish music and dance. He, himself, had a talent for music. He painted El Jaleo in 1882. 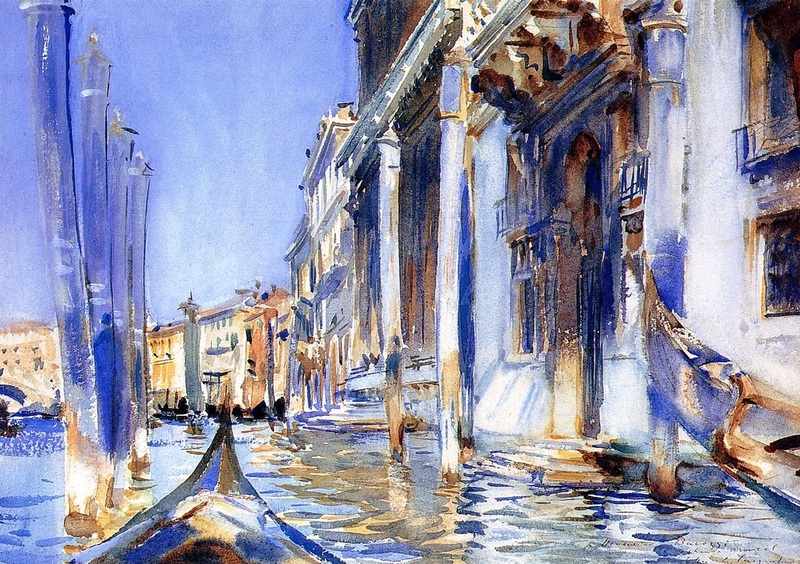 Sargent’s trips to Italy provided him with sketches and ideas for several Venetian street scene paintings. In the Middle East and North Africa, Sargent painted Bedouins, goatherds, and fisherman. Sargent traveled and painted scenes also from the English countryside and the United States. Sargent backed away from the portrait business between 1907 and 1910 to leave himself time to focus on other projects. During World War I, he created Gassed and many watercolors which showed the terrible conditions that soldiers endured. Sargent was also commissioned to paint murals in Boston at the Museum of Fine Arts, Harvard, and the Public Library. 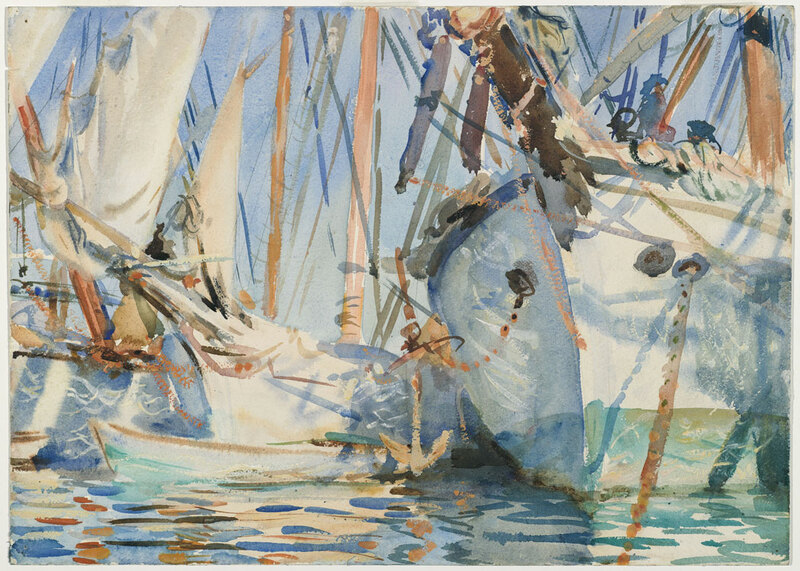 Sargent made a name for himself as a watercolorist. He painted more than 2,000 watercolors, roving from the English countryside to Venice and the Middle East. He often painted from morning until night. In the last decade of his life, he produced watercolors in Maine, Florida, and in the American West, of fauna, flora, and native peoples. With his watercolors, Sargent was able to paint what he wanted, including: nature, architecture, exotic peoples, and noble mountain landscapes. He also painted family, friends, gardens, and fountains. His watercolors seem to have been painted with a fluid joy.